Around 9.11 lakh passengers used the Kolkata Metro services on Monday. 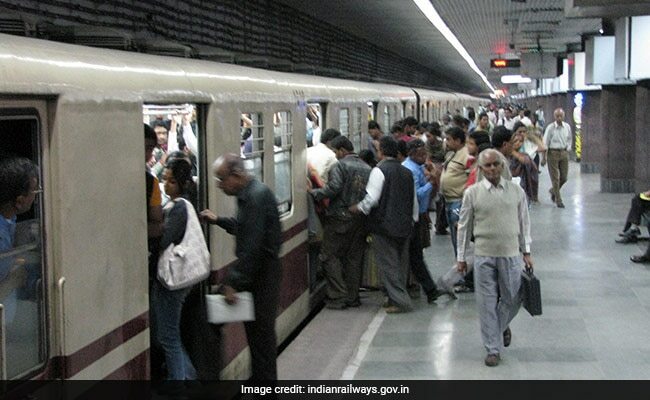 "This is the highest footfall recorded by the Kolkata Metro since its inception 34 years ago," Kolkata Metro spokesperson Indrani Banerjee told news agency PTI. The previous highest passenger count was 8.78 lakh on September 25 this year. She said that the residents of Kolkata are now pandal hopping using the metro as its alignment is such that it covers most of the big pujas in the city. "We have a handy tourist guide for passengers which will tell them which station they need to get off to see the pandals of their choice. It is in the form of a cut-out which they can carry in their pockets," said Ms Banerjee. So, for the Bagbazar pandal, which is one of the most sought after pujas in the city and is completing 100 years this year, one needs to get down at Shobhabazar and for the much-touted Mohammad Ali Road pandal, which completed 50 years, one needs to get down at either Central station or Mahatma Gandhi Road station she said. The Kolkata Metro has run 300 services on Monday to cater the puja rush. It has scheduled 224 services on Sapatmi, Ashtami and Navami during the puja. The metro services will be available to passengers from 1:40 pm to 4:00 am. On Dasami, 118 services will be run from 1:40 pm to 10:00 pm. The Kolkata Metro has taken all possible measures anticipating huge puja rush. Elaborate security arrangements have been made and medical personnel have been deployed at the stations, the spokesperson said. "The services being provided by the Kolkata Metro is being done with existing rakes and with existing personnel. The maintenance work is being done at night so we are basically working 24x7. General Manager, Kolkata Metro, PC Sharma has been monitoring the entire process and encouraging the staff," she said.